Steel itself is light weight, high strength, high compressive strength, both the short construction period of the magical features.After joining the perfect art structure is the important reason for its rapid becoming a hot spot. At present, there are many large, diverse and complex projects in various parts of our country, civil engineering, etc. 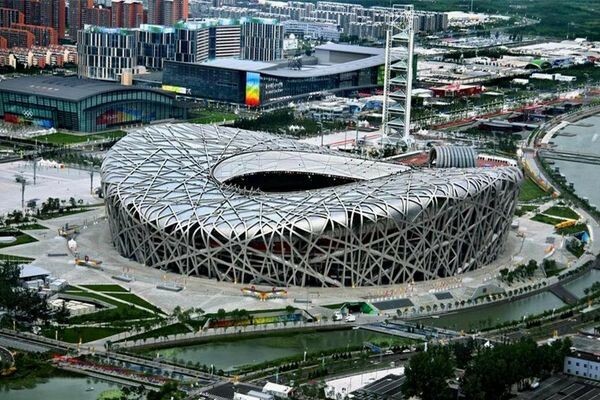 As the opening and closing venue of the 2008 Beijing Olympic Games, Bird's Nest Stadium attracted the attention of hundreds of millions of people around the world. But what we may not know is that the nest is a form of steel construction. That the advantages of building steel structure plant, what are the advantages? Steel structure building is a kind of high self-reliance, light weight, high strength housing structure, the main components are: steel columns, steel beams, steel foundation, steel truss, steel roof, pay attention to the steel structure of the wall can Adopt brick wall maintenance. From the appearance of speaking, steel construction lines simple and smooth, quite modern art beauty. For color, the color wall panels are available in a variety of colors, and the walls can be made of other materials for greater flexibility. Wide range of uses: Suitable for factories, warehouses, office buildings, gymnasiums, hangars and more. Suitable for single-span, long-span buildings as well as multi-story or high-rise buildings. Simple construction and short construction period: All the components are prefabricated in the factory. The site is simply assembled and the construction period is greatly shortened. A building of 6,000 square meters can be basically installed in only 40 days. Durable and easy to service: The steel structure designed by General Motors is resistant to bad weather and requires minimal maintenance. Beautiful and practical: steel construction lines simple and smooth, with a modern feel. Color wall panels are available in a wide range of colors, and walls can be made of other materials for greater flexibility. Reasonable cost: light weight steel structure, reduce the basic cost, construction speed, can be put into operation as soon as possible, the overall economic efficiency is much better than the concrete structure of the building. The cost of building steel plant is still quite reasonable, mentioned in the last article, "how to assess the cost of steel plant budget" and "examples of how to calculate the cost of steel plant structure." The weight of the building itself is very light, can reduce the cost of building the foundation of the building, the construction of the construction speed is very fast, you can finish earlier, put into production earlier, increase profits.